Members set their availability for team events as "attending", "not available", or "maybe". 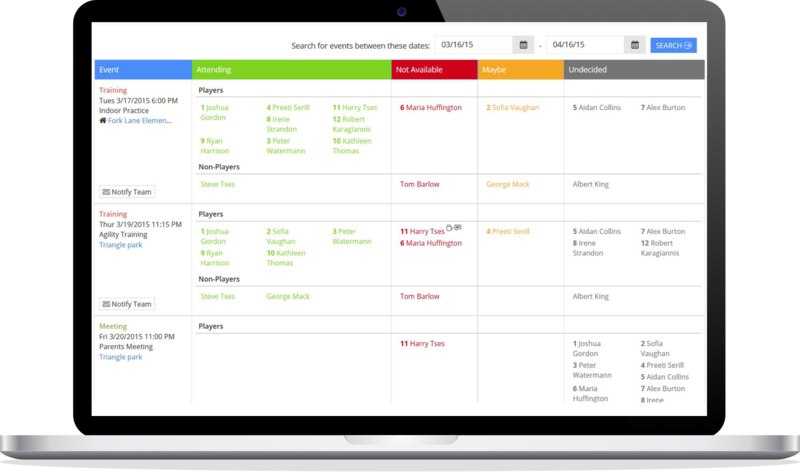 Coaches and team managers can quickly see who's coming to the upcoming events and plan accordingly. Are you planning a vacation or a family trip? Let the coach know which dates you'll take off so he can plan his lineups for the games ahead. Send email or mobile notifications to members who haven't set their availability yet to remind them of upcoming events. Members can set availability with a mouse click or a tap on their mobile device. 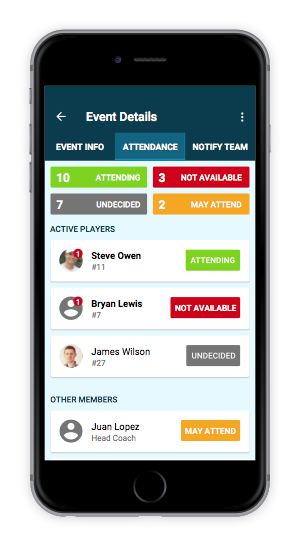 See team members grouped by availability (players are grouped separately than non-players) for an event, and know right away if you have enough for the next game. Configure specific events so members can't see each other's availability.